LYNDON—He knows it will keep him busy, but Osage County Attorney Brandon Jones says he can handle the workload of two county attorney offices. 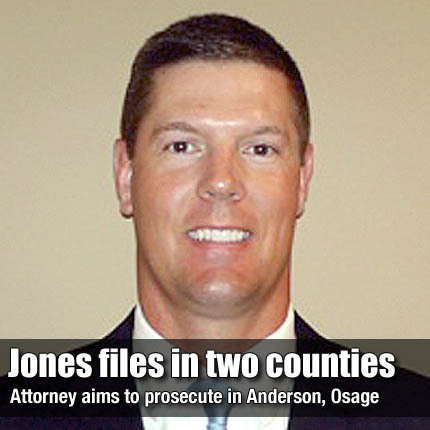 Jones, of Ottawa, filed for re-election for his Osage County position April 5, and shortly afterward filed for election as Anderson County Attorney. Jones also serves as county counselor for Osage County, advising commissioners on personnel issues and other county business. Jones said last week that county attorneys serving two or more counties is “fairly common” in the western part of the state, due to low populations in those counties. “It’s not unheard of, but not as common back here,” Jones said.